High above Hong Kong’s iconic International Commerce Centre (ICC), the tallest building in the city, over 1,000 people gathered to participate, watch or judge the city’s startup elevator pitching competition. 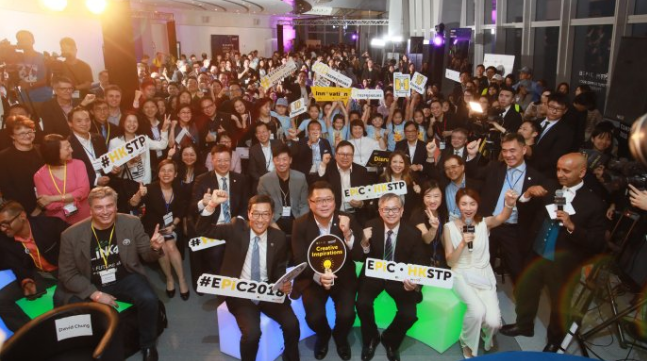 The event was called the Elevator Pitch Competition 2018 (EPiC), organised by Hong Kong Science and Technology Parks Corporation (HKSTP), and startups just had 60 seconds to pitch their business to investors. Or, more accurately, they had whatever amount of time it took to travel from the bottom to the top. “It’s fun. It is the first time I tried to do a pitch in an elevator. I have heard the term ‘elevator pitch’, but here is the real thing. It’s just one minute, so if you lose some words, you just lost two seconds,” said Brian Lam, the co-founder of BNET TECH. “My feeling is it’s like taking part in the Olympics, because you just have one chance, you have one chance to do your real pitch,” he said. BNET was pitching its IoT-powered walking cane, which can send out an emergency signal to caregivers if an elderly person takes a tumble. The event was packed-full all day, and the people e27 spoke with recognised the event from previous years. So what attracted so many people to EPiC? In large part, it is thanks to the awakening of Hong Kong’s startup ecosystem. “[The crowd] is a reflection of the environment of investment/ tech in Hong Kong over the past two years. It’s really changing. The whole environment is getting better. [It is] an evolution of Hong Kong,” said Albert Wong, CEO of HKSTP. A crucial community within any startup hub are the angel investors. They often provide the first piece of financing that makes a difference of whether or not an idea can grow into a company. They are the risk takers who support young Founders who barely understand what exactly they have in their hands, or what it takes to turn an passion into a reality. “This event is good to get in touch with what is really out there. It gives me some ideas, then next time you see a startup, you know, ‘I’ve seen this before’,” said Dominic Chan the Co-Founder & Partner of Dark Horse Investment, an early-stage investment company. 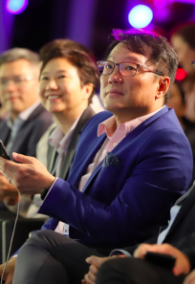 Dr Alan Chow, the Founder and CEO of Focus Capital Group Limited; an investor judge of EPiC said he “invests in the winner” and was enthusiastic about all of the young founders he met during the pitching competitions. “I am supporting Science Park, supporting the ecosystem,” he said. 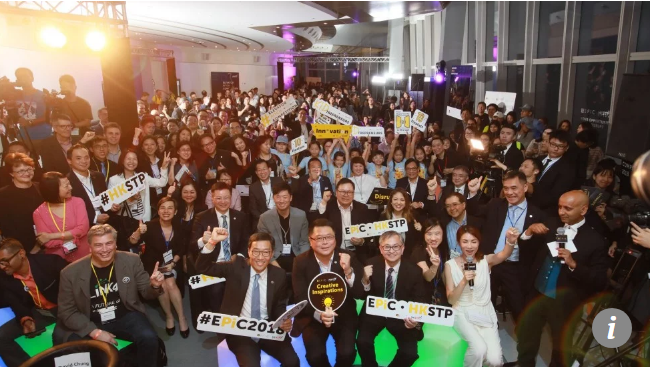 And as for HKSTP’s Albert Wong, the major stakeholder in EPiC, he wants to create an ever-growing event to bring together the community — both local and international. This year’s competition drew 591 initial entries from around the world. “What we want to achieve is to host an event that will get more people aware of the startup mentality, to encourage entrepreneurship. This is the third year and more and more people are coming forward to put in their entries,” he said. Albert Wong, Chief Executive Officer of HKSTP, said the success of the competition is a reflection of the environment of investment/ tech in Hong Kong. Over the past two years or so, the Hong Kong startup ecosystem has carved a rather unique place for itself within the APAC region. The city was fairly late to the startup game, and yet, it has become the source of many of Asia’s largest funding rounds — and it hosts more unicorns than other cities like Kuala Lumpur, Singapore or Jakarta. A recent example is SenseTime, a unicorn specialised in AI and facial recognition technology. The company is based at Science Park, in Sha Tin. hat being said, while Hong Kong is fantastic for big-money fund raises, very often for most startups, the first US$1 million to support growth can be a difficult sell. The good part is this situation also seems to be changing. Last week, HKSTP laid out its plan to deploy US$1.3 billionworth of incubation financing and enhancing its current set of startup services offered at Science Park. Notably, a chunk of the money will be focused towards helping extremely early-stage companies to get their ideas off the ground, via the Science and Technology Entrepreneur Programme or STEP. Other programmes, such as the Corporate Venture Fund (CVF), will be there to follow up and set high-potential start-ups towards the Seed and Series A funding path. The CVF is carried out through co-investment with private sector funds. What’s that dinging sound you hear? Seems like it is the Hong Kong startup community letting everyone know they’ve reached the top floor.